I can not begin to tell you how excited I am about this item I am posting about. 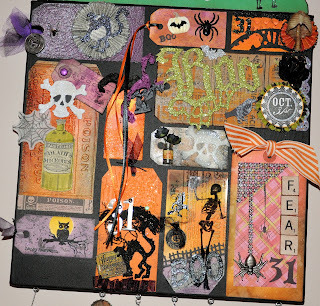 About a month ago I posted the tags I was making for a swap in a yahoo group called All Things Tim where we use alot of Tim Holtz items. 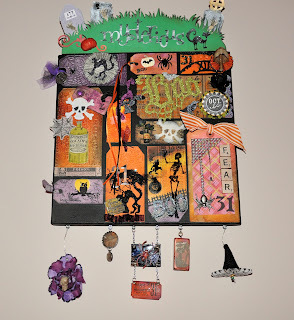 Well I got involved in a Halloween chaos swap where you made 12 tags and each person made 12 of one size. The tags were all different sizes mine was regular tag size. 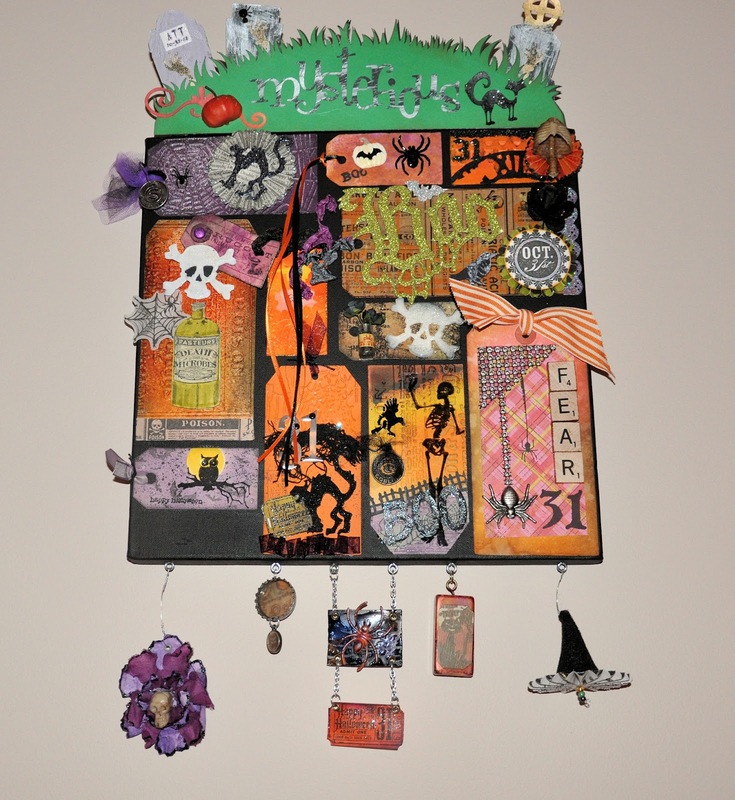 Well you decorated 12 tags and sent them to a wonderful lady named Stacy and she put them all together on a canvas and also decorated the canvas with homemade charms and a wonderful topper. 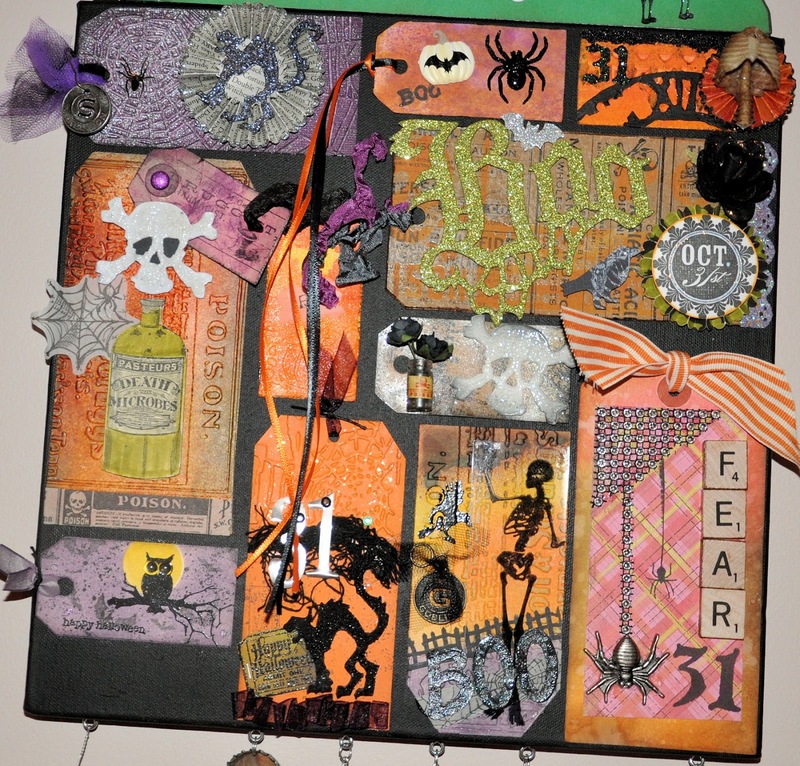 I recieved my finished canvas yesterday and it was the coolest thing I have ever been a part of in a swap. I am so excited. I was in group 1 and there were two more groups so this ladt put together 36 of these things. They are magnificent. My daughter in law saw it tonight on my wall and asked me to please make her one. I had to say I didnt make it I only made one of the many tags on it. I am thrilled that I decided to be a part of this. Wel enough of the talking about it I will show you how wonderful it turned out. It's amazing that everyone using essentially the same materials all came up with different looking tags tat all work so well together. I was in Group 3 and love the canvas I got. Fun Swap!